Yesterday evening was the opening of the Amsterdam International Fashion Week at the Westergasfabriek in the capital of the Netherlands. 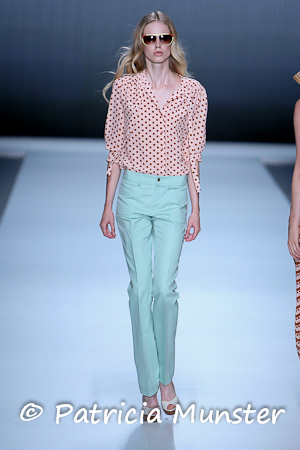 The designer duo Truus and Riet Spijkers opened this event with their collection 'Bain du Soleil'. 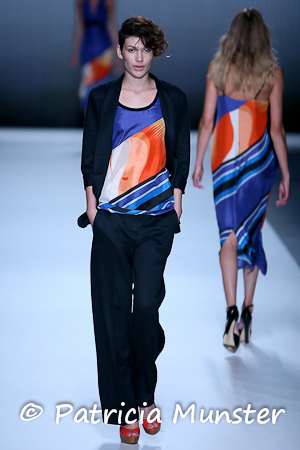 It is a collection with graphic elements: stripes, dots and zigzag motifs inspired by summer sports and Olympics. Of bathers on the French coast to Olympic competition swimmers. Braun, the first Dutch Olympic swimming champion (1928), became the muse for this collection.